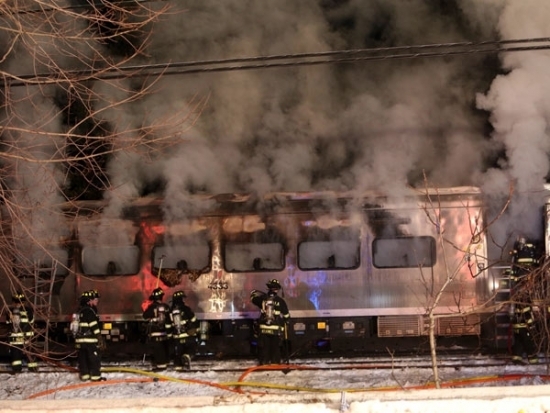 Yesterday, an SUV driver and six people on a packed commuter train that crashed into it at a rail crossing in New York have died. The Jeep Cherokee was sitting in traffic at the railroad crossing when the gate came down on the back of the SUV. 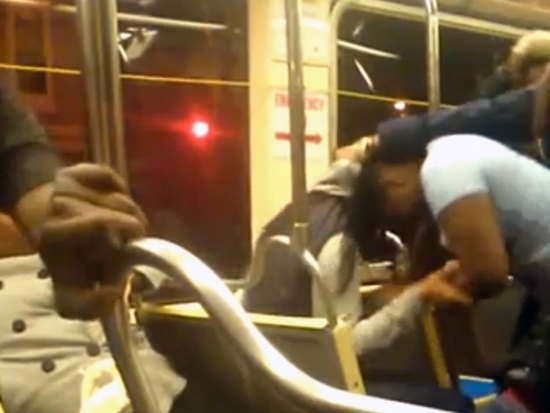 The woman got out of the vehicle, tried to lift the gate, then got back in the car and accelerated directly into the path of the train. She was killed and the train burst into flames killing 6 on board. The Philadelphia Art Museum has announced it has received five major French paintings as a bequest from long time supporter Helen Tyson Madeira who died last year. 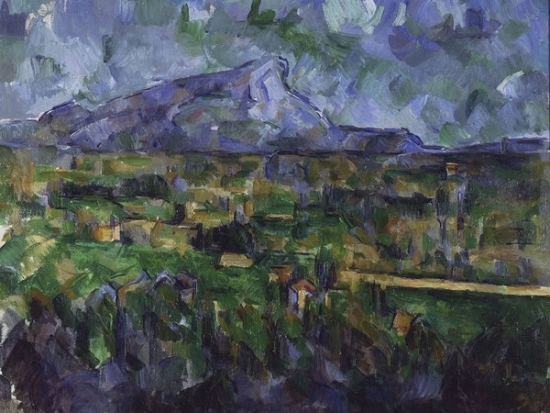 The Cezanne, Manet, Pissarro and others are already on display in the galleries at the Art Museum. The new paintings join the collection donated by Madeira’s parents Mr. and Mrs. Carroll S. Tyson, Jr. five decades ago. 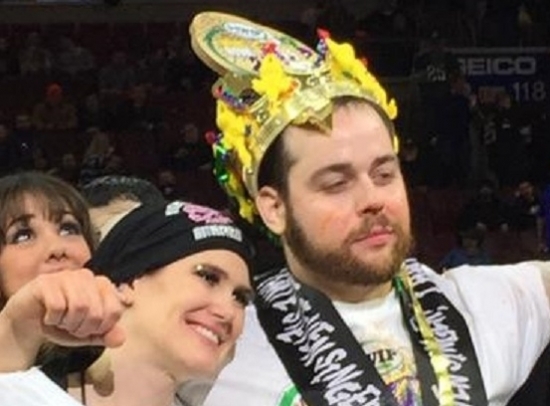 The 23rd annual Wing Bowl took place this morning in Philadelphia. It was a celebration of gluttony as the eating competition, complete with scantily clad wing-ette servers piled food in front of contestants who rode in on floats, some decked out in togas or maybe just their underwear. The winner was Patrick Bertoletti, who downed 444 wings. 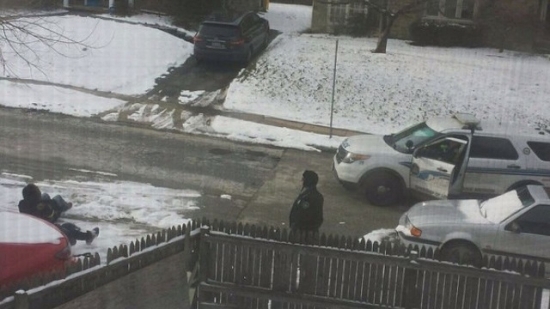 Lower Merion Police are facing racial profiling questions after they stopped two groups of African Americans who were shoveling sidewalks and driveways in primarily white Main Line neighborhoods. A Wynnewood woman snapped a photo (below) of the men she had just hired to do her driveway after a police officer told them to stop and sit down in the snow while questioned. Police say adult door-to-door snow shovelers need a solicitation permit in the Township. Yesterday, Philadelphia Mayor Michael Nutter announced that a Snow Emergency would go into effect 6:00 p.m. Monday evening to prepare for the incoming snow storm. That snow emergency was called off at 6:00 this morning. Cars can now begin to park on snow emergency routes that were previously off limits. If your car has been relocated you can call 215-686-SNOW to find out where it has been moved to. A major winter storm is rolling up the coast. After the first round of snow overnight, the snow will intensify through the afternoon today with heavy accumulation tonight into Tuesday. Snowfall will pile up at a couple of inches per hour and create whiteout conditions with strong winds blowing and drifting snow before it tapers off Tuesday afternoon. We have a long way to go. There is a Nor'easter gathering moisture and heading up the east coast and it will bring snow to the Philadelphia region starting as early as 9 tonight to the south. We do not have arctic air in place so by Saturday morning we will likely see a changeover to rain before it ends Saturday evening. 3 inches around Philly, North and West of the city will see mostly snow. Up to 6 inches in the Lehigh Valley. Last night's snow left a coating that didn't inconvenience too many this morning and the roads should dry completely this afternoon. There is good chance a moisture packed Nor’easter will hit the Philadelphia area on Saturday. It's too early to say how much of the moisture will be snow or rain. But at this point the weather guessers say it could produce 3 to 6 inches of snow.